One of my most dreaded beginning of the year tasks is decorating my classroom. While I understand the benefits of creating a warm and inviting atmosphere, the truth is that I never did master the art of properly posting paper on a bulletin board or aligning letters in a straight line. This year some of my colleagues decided to take pity on me and lend me a hand in decorating all eight of my bulletin boards. My bulletin boards are now neat, bright and outlined in tasteful borders. 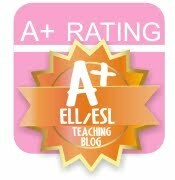 My students noticed an immediate difference. I am so impressed by my classroom that I decided that this was the perfect opportunity to create the ultimate interactive word wall (an idea shamelessly stolen from Confessions of a Crafty Middle School Teacher). 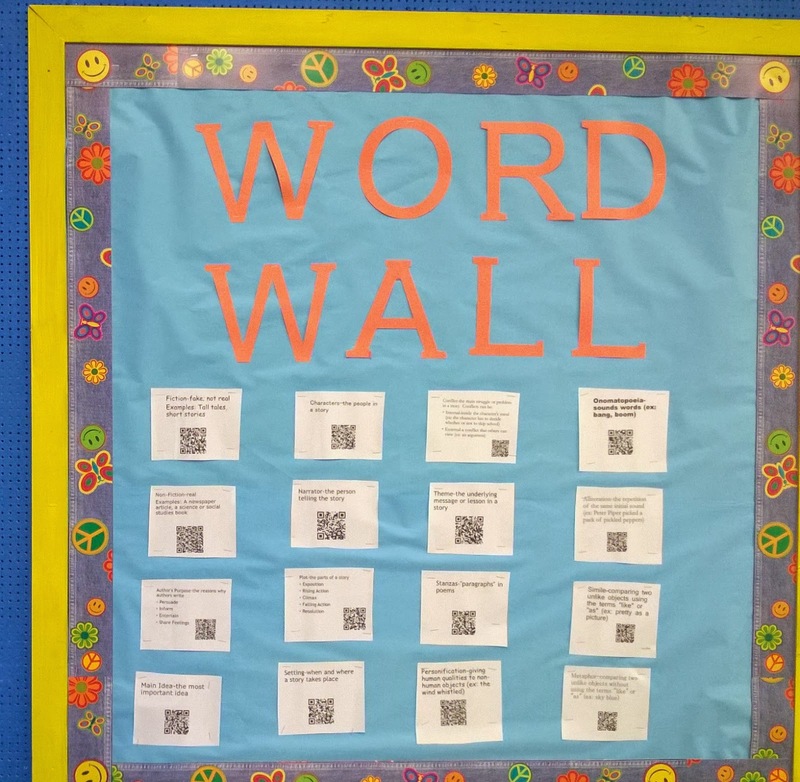 I created word cards for the first round of this year's academic vocabulary words and attached a QR code to each one. Now students can not only see the spelling and definition of targeted vocabulary, they can scan a QR code and watch a video/PowerPoint explanation or complete an interactive activity. While students at my school have iPads, this could be the perfect opportunity to allow students to make the connection between the electronic device in their pocket and learning new concepts. This project did take a bit longer than expected, but seeing the look on my students' faces when they discovered the word wall was worth it. The fact that my vice-principal was pleased that I fulfilled the administration's mandate to create a student-friendly word wall can only help me in the near and immediate future. If you are interested in getting your very own copy of my word cards, click here. Please note that there is a conflict between the QR codes and the AT&T scanner app.